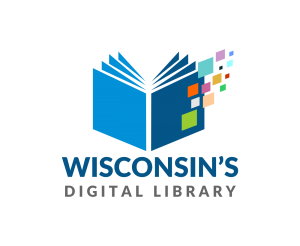 This organization shall be called “The Board of Trustees of the Powers Memorial Library” existing by virtue of the provisions of Chapter 43 of the laws of the State of Wisconsin, and exercising the powers and authority and assuming the responsibilities delegated to it under the said statute. Section 2. Officers shall serve a term of three years from the January annual meeting at which they are elected until their successors are duly elected. Section 3. The president shall preside at all meetings of the board, authorize calls for any special meetings, appoint all committees, execute all documents authorized by the board, serve as an ex-officio voting member of all committees, and generally perform all duties associated with that office. Section 4. The vice-president, in the event of the absence or disability of the president, or of a vacancy in that office, shall assume and perform the duties and functions of the president. Section 5. The secretary shall keep a true and accurate record of all meetings of the board, and shall perform other such duties as are generally associated with that office. In the absence or inability of the secretary, the duties shall be performed by such other members of the board as the board may designate. Section 6. The financial secretary/treasurer shall be the disbursing officer of the board, and shall perform such duties as generally devolve upon the office. In the absence or inability of the treasurer, the duties shall be performed by such other members of the board as the board may designate. Section 1. The regular meetings shall be held once each month, the date and hour to be set by board. Section 2. The annual meeting, which shall be for the purpose of election of officers shall be held at the time of the regular meeting in January of each year. Section 4. Special meetings may be called by the secretary at the direction of the president, or at the request of three (3) members, for the transaction of business as stated in the call for the meeting. Section 5. A quorum for the transaction of business at any meeting shall consist of three (3) members of the board present in person. The board shall appoint a qualified library director who shall be the executive and administrative officer of the library on behalf of the board and under its review and direction. The director shall inform the board of the appointment and specify the duties of other employees, and shall be held responsible for the proper direction and supervision of the staff, for the care and maintenance of the library property, for the adequate and proper selection of library materials, keeping within the limitations of the budgeted appropriation. In the case of part-time or temporary employees, the director shall have interim authority to appoint without prior approval of the board, provided that any such appointment shall be reported to the board at its next regular meeting. Section 1. The president shall appoint committees of one or more members each for such specific purposes as the business of the board may require from time to time. The committee shall be considered to be discharged upon the completion of the purpose for which it was appointed and after the final report is made to the board. Section 2. All committees shall make a progress report to the library board at each of its meetings. Section 2. The by-laws may be amended by the majority vote of all members of the board provided notice of the proposed amendment shall have been given to all members prior to the meeting at which such action is proposed to be taken. Section 3. Any rule or resolution of the board, whether contained in these by-laws or otherwise, may be suspended temporarily in connection with business at hand, but such suspension, to be valid, may be taken only at a meeting at which at least three (3) members of the board shall be present and two-thirds of those present shall so approve. Section 4. A full review of the policies of the Powers Memorial Library will be conducted by the Board, or a committee thereof, every 5 years.